G.E. (Hubby’s new moniker) and I hadn’t planned to venture out into the masses today, but we ended up making one trip to Costco to purchase Advent Villages for our grandchildren. Not that they were a HOT item, but I knew if we didn’t make the effort, fate would swoop in and grab up every box. And I’d be kicking myself for the next 28 days! It never fails. As it turns out, I was glad we went. 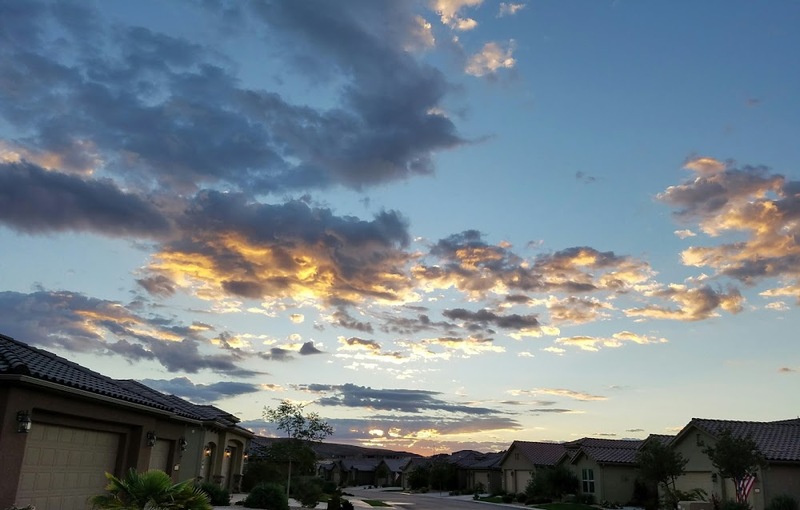 OLD-fashioned Christmas music, hearkening back to my favorite era – the 1940s, chimed in with the noise of bustling shoppers; and I felt my first twinge of holiday spirit. Part of our duties included working during the Christmas shopping days which started off with a parade to welcome Santa to the city in general and the department store in particular. 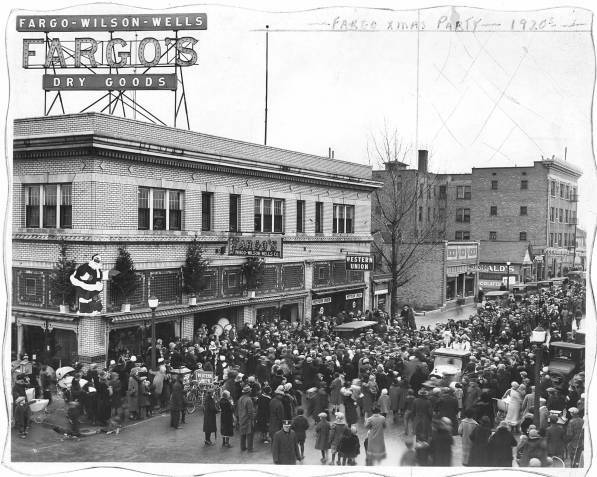 Like Macy’s parade in New York City, this tradition had been part of Fargo’s history for decades. I think I became part of that tradition because I could not wrap packages. One of my first duties – besides uniting young fashion preferences with merchandising – was in the gift wrapping department. Unfortunately, I was SLOW and SLOPPY. The Scotch tape was anything but discreet, and the curling ribbon needed a perm. The more I tried to whip that paper grosgrain into ringlets, the straighter it became. Some time between paper cuts and blistered thumbs, my supervisor transferred me across the street to the toy department. With that transfer came many opportunities: breaking the news to irate parents that we were out of Slinkies and bouffant Barbies; counting back change – correctly; climbing shelves without ladders; AND co-starring with Santa as Jackie-in-the-Box in the Christmas parade. I suppose it’s only right that I should work with Santa. I’d written a play about him years before, and I starred as Mrs. S. who had to step in for the old man when he came down with a terrible cold. Most importantly, however, I am actually Santa’s grandaughter. Everyone in Pocatello knew that the REAL Santa only came to Fargo’s, and in 1963 that Santa just happened to be MY Grandpa B. – before he retired to Seal Beach, California and before I made my debut as a giant toy! You are amazing! I don’t think I knew you were once a giant toy. This brought back lots of memories—Fargo Fashion Board—I really just remember the fashion shows. It was so exciting! I joined late and we didn’t get to wrap presents much. I love the pic of you as Jackie-in-the-box–what a doll you were and still are. You are keeping me laughing here in SA. Love you so much. I LOVE it when you comment on my blog. It makes me feel so good! Now I need to reciprocate, but I forgot to “rss” your blog and I can’t find it. Please re-send your blog address for the 3rd or 4th time so I can follow it! How is South Africa, my sweet friend? Can’t wait to hear how Christmas was celebrated in your neck of the world. ALWAYS thinking about you! Much love, R.
Pingback: … totally retro Valentines … « . . . good times … good seasons . . .